benthropology: New (and Not-So-New) Endeavors, or "What is Cultural Sustainability?" New (and Not-So-New) Endeavors, or "What is Cultural Sustainability?" This September, my wife and I - and our baby girl, coming this summer - will pack up and head for California, where I will be getting my PhD in anthropology at UC Davis. I'm very excited about this for several reasons, not the least of which is the opportunity to work with some incredible faculty, including Marisol de la Cadena, whose work has been profoundly energizing for me over the last couple of years. This new endeavor will likely lead to more regular additions to this blog and lend some legitimacy to its name. While anthropology has been the disciplinary context of my work and research interests all along, I do not actually have a degree in anthro. My BA from Penn State is in Letters, Arts, and Sciences, and my MA from Goucher College is in Cultural Sustainability. In a sense, my academic journey has taken me from a very broad range of studies to a somewhat narrow discourse among sociocultural fields, and now I am stepping into a more defined discipline with a broader set of questions and concerns. UC Davis is a place where I can be proud of my interdisciplinary background while better equipping myself to do and teach anthropology. 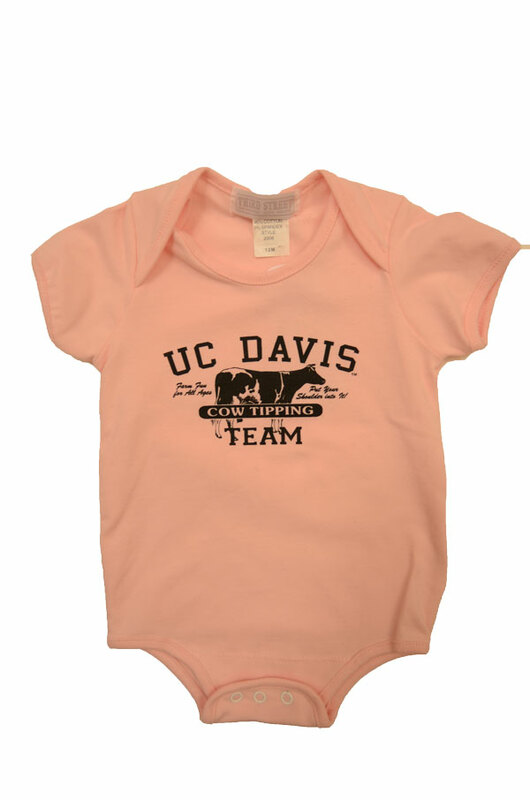 We're already trying to instill our daughter with school spirit, and she's not even due for 2 more months! When people ask about my undergraduate degree, I explain that it's just another (and perhaps less stigmatized) name for the liberal arts. I took courses in anthropology, African-American literature, music, environmental studies, and gender studies, and completed an honors thesis with an ethnomusicologist as my supervisor. My master's degree is always a bit more difficult to explain; cultural sustainability is often understood as just a sort of preservation, in the same league as efforts to save dying languages. Of course, museums, folklife festivals, and cultural documentation are all within the scope of cultural sustainability, at least as Goucher's program envisions the field; however, the choice of the ecological term, sustainability, is not without utmost significance. In some cases, this is the only word people hear. Upon learning that I have a CS degree, some people have asked for my opinions on permaculture and renewable energy, making me wonder how I might place a stronger emphasis on that also-not-insignificant modifier, cultural. Sure, I have opinions on environmental sustainability, and CS certainly dialogues with environmental disciplines on a number of issues, but it would be far from accurate to describe CS as an intersection of cultural and environmental studies, a particular branch of sustainability studies, or an attempt to reinvent the "cultural ecology" approaches of Julian Steward or Gregory Bateson. Without suggesting a definition for CS, I can describe a couple of things that CS, as a theoretical approach, does: (1) it applies the ecosystem concept to the study of cultural life and applied social sciences, and (2) like several fields presently concerned with ontology, and indigenous ontologies in particular, it challenges notions that posit Nature as Other. Much of my coursework at Goucher focused on other emphases: cultural democracy, arts and social change, environmental justice, models of social entrepreneurship, and ethnographic methods that facilitate cultural partnership and collaboration. While these are indispensable components of the MACS (Master of Arts in Cultural Sustainability) program, I highlight the ecological and ontological aspects of our curriculum because I believe they set it apart from other graduate programs that have similar mission statements and applications. Questions of being, nature, interconnectedness, and place are also central to my own work, and I began to think more deeply about these while taking the Cultural Sustainability Theory Seminar with Rory Turner. I plan to revisit such themes often in the next several years, and I am sure that my studies and fieldwork will provide ample material for this blog. Last year, I was asked to write a brief explanation of my MACS capstone project. Because CS seems to elude strict definitions, at least for now, I believe it is more instructive to examine the on-the-ground work of scholars and professionals laboring under the pretense of sustaining culture -- or, as I prefer to formulate it, sustaining people through participation in cultural life. In this spirit, I share excerpts from the summary of my capstone, a sort of reflection on the process of fieldwork and writing my thesis. ...my research may be described as an effort to understand belonging. My thesis examines how Rastafarians use and experience sound, both in language and music, to create meaning, to connect with others, and to belong. To examine more deeply how the InI philosophy informs concepts of self, identity, and otherness, I explored another tenet of Rastafari: word-sound power. According to this tradition, speech effects vibrations that influence social and material realities; for this reason, Rastafarians are especially conscientious of the words and music they use to express their collective identity and goals.... [Their performative] linguistic tradition, known as Iyaric or Dread Talk, has been a significant part of the movement since its formative years, and it includes countless terms used in songs, prayers, and everyday conversation. Rather than a fixed lexicon, Iyaric is a creative practice through which Rastafarians challenge the oppressive language of Babylon -- a term used generally for colonial institutions as well as destructive attitudes and behaviors. As one Rastaman in Jamaica told me, they "speak with fire" in order to burn spiritual wickedness. By reasoning with Rastafarians, I learned about the transformative power of words; I learned that vibrations, typically perceived in musical contexts, are also ascribed to environmental and cognitive phenomena; and I learned about the conflicts within maintaining Rastafari identity in the face of globalization. However, as I learned all of this, I often felt the ethnographic lens being turned back toward me. Reasoning empowered my collaborators to ask their share of the questions, often making powerful statements that burned and humbled me.... I was forced to recognize the repercussions of my questions and vibrations as I toed the line between observation of "others" and participation in their cultural life. Without pretending that my thesis is a one-size-fits-all guidebook for fieldwork in cultural sustainability, I hope that it will serve as a valuable lesson about the power of words to sustain or destroy people and their cherished ways of life. Cultural workers will continue to enter situations where power is imbalanced, traditions are at stake, and ethnographic representation threatens the self-determination of marginalized peoples. The Rastafari know this all too well, and they are wise to be skeptical of those who would document their unusual way of life. Far from being impenetrable, however, they may be inclined to invite others, as they invited me, to "enter into the struggle" and find ways to communicate productively. The trick, in my case, was to allow my "subjects" ample opportunity to ask their own questions, so that I-and-I -- subject and subject -- could truly reason together. Unlike many students in the MACS program whose capstones involved the implementation of community-based projects, I relied almost entirely on interviews, participant-observation, and reasonings for my analysis. Although I also enjoyed the applied aspect of my fieldwork, efforts to spearhead a community farm project in West Philadelphia, I have always been more successful in the realms of thinking and writing than in organizing and leading. I intend to improve my skill and confidence in the latter, but recognition of my own strengths and weaknesses has contributed to my sense that an academic career in anthropology is the best fit for me. As I continue to learn about Rastafarian notions of vibration and "burning" things with words (a concept I am calling pyrolocution), as well as Afro-Caribbean religion and expressive traditions more generally, I look forward to sharing these and other fun things on this blog. I plan to keep this platform somewhat laid back and informal; for writing of a more scholarly sort, I will most likely use my Academia.edu page. My main goal with benthropology is to stay in the habit of writing, but I would also be thrilled to receive some comments and perhaps "reason" with my readers. So, please, comment away!